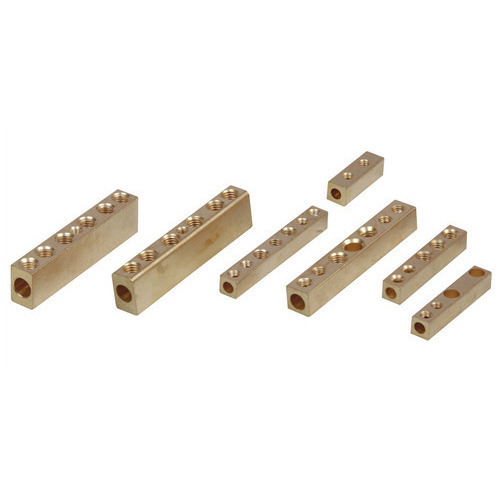 With sincerity and hard work of our professionals, we have carved a niche for ourselves in this domain by providing a premium quality gamut of Brass Terminal Block. Approx. Rs. 25 to Rs. 400 per piece as per size, quality and market. Founded in the year 1991, we “Vishal Brass Industries” are a dependable and famous manufacturer, trading and exporting of a broad range of Brass Air Release Valve, Cable Gland, Aluminum Camlock Adapter, Brass Sanitary Parts, Brass Insert, Transformer Metal Parts, Brass Cam Groove Coupling, etc. We provide these products in diverse specifications to attain the complete satisfaction of the clients. The range of products, we offer, are available under the brand name VBI. In addition to this, we also export the offered range all over the world. We are a Sole Proprietorship company which is located in Jamnagar (Gujarat, India) and constructed a wide and well functional infrastructural unit where we manufacture these products as per the global set standards. Under the supervision of our mentor “Mr. Vishal Chavda”, we have gained huge clientele across the nation.